Several weeks ago I started a series of “Back to Basics” posts focusing on individual craft elements in conjunction with the new book I’m working on. After weeks of talking about Character, Conflict, Setting, and the Outline, I realized that if I ever wanted this book to move from a plan to a reality, it was time to step away from the craft and start actually telling the story. November, with NaNoWriMo, is a ready-made time to do some actual writing. Thousands of other people are writing at the same time, there is a tool to track your progress, and there are dozens of other writers, both on the NaNo site and on their own blogs that are offering up a variety of advice to those who are focused on getting words on the page. As a plus, it’s getting dark earlier and earlier these days, leaving fewer distractions to keep you from getting up close and personal with your story. When November started, I dutifully signed onto the NaNo site, created my profile, added writing buddies, and then opened up my Word document and got writing. Now, 24,583 words and 16 days later (I’m writing this post on Monday), I’ve made some good progress and learned a few things along the way. Though I left my notes strategically scattered near the computer and an open Word document waiting nearby (attempting Step 5 from Nancy’s post earlier this week), I had nothing but a blank page until I put my fingers on the keyboard and started turning words into sentences. 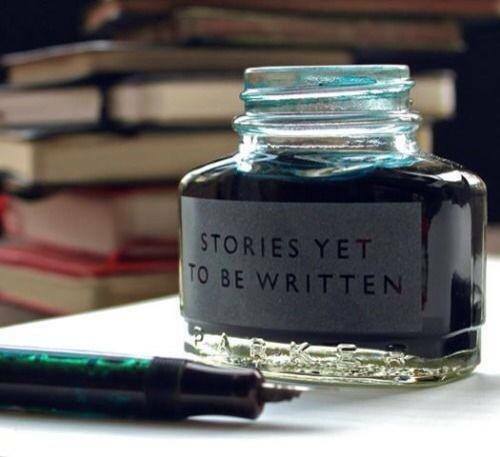 Lesson learned: No matter how much planning or research or character development I do, there is no story until the words start hitting the page. The number one reason people who “want to write a book someday” give to explain why they aren’t currently writing is “I just don’t have the time.” After talking with a number of successful writers however, it seems that most of them balanced writing with work, children, school, and a host of other demands on their time. The thing they all had in common was they chose to make the time to write, whether it was stolen minutes here and there or a re-prioritization of the things they were doing during the course of a day. For me finding the time to write means avoiding going out to the internet for “just a few minutes” and losing an hour or two. It also means there are dirty dishes in the sink and some ironing that just isn’t going to get done anytime soon – none of which really matters in the grand scheme of things. Lesson learned: If I really want to do something, I will find the time. Setting yourself up to meet daily writing goals means you really do need to write on a daily basis. I don’t know about you but the old “I’ll just write twice as much tomorrow to make up for today” never works for me. Having to write every day means, inevitably, you will have to sit down and write on occasion when you just don’t want to. Maybe you’re tired or you’ve had a bad day and you just want to stare off into space. Well, too bad, you can’t. It’s just like going to school or a day job. It doesn’t really matter if you’re in the mood or not, you need to do it. On the plus side, it’s very possible that once you start writing you’ll find that your mood has changed. Lesson learned: If I can go do something I have to do (day job) when I’m not in the mood, I can certainly do something want to do (write) when I’m not in the mood. Okay, your mileage may vary on this, but I have found that writing consistently every day and having a set goal has made the process a little easier each day. Sure, I still stare at the page and think “what the heck happens next”, but consistently engaging with the story means it is frequently on my mind. I get random ideas for the story all the time now (I had to pull over twice on the drive home from work today just to note something down). I don’t remember how many times you need to do something before it becomes a habit, but sixteen days seems to be a good start. My brain is getting the hang of “it’s time to write, start being creative.” I’m hoping this is going to be a sustainable process. Lesson learned: Like any other skill, the more you write, the better you’ll get. Now I know this one will drive those of you crazy who write your scenes in order, but I have not been writing this story in order. Sure, I started out with Chapter 1. After a few scenes though, I was at a loss to figure out exactly what was next, so I made a note (“stuff needs to happen here”) and moved on to another scene. The best analogy I have for my process so far is that of doing a jigsaw puzzle. I’ve done all the edge pieces (my outline) and now I’m filling in whatever section I have ideas for. Sure there are big holes all over the place, but there are also enough pieces to get a general idea of what is going on. Lesson learned: There is no one right way to write. If it’s getting you closer to the end, then it’s the right way. For all of you, how is your “actually writing” going? Any lessons of your own to share? This entry was posted in Basic writing skills and tagged back to basics, Elizabeth Eldridge, fiction writing, first draft, NaNoWriMo, writing process, writing tips. Bookmark the permalink. Love this post, Elizabeth. I gave myself a week to make notes and get back into my story, and now I’m wrestling with the actual writing. It’s going really slowly 😦 . I probably had ten attempts at writing one scene today. I have a net 550 words (don’t ask me how many I deleted) and I feel as though I’ve run a marathon. The good news is that it’s an important scene and I’ve finally figured out what it’s about and what I want it to do. I got closer to the good stuff with every attempt, though I did consider abandoning the whole damn book somewhere around #7/8. So my lesson re-learned for today: I will only discover what this story is by writing it. Great Jilly, glad you have figured out your scene. You’re net words may be 550 words, but all those other words you deleted were just as important. I basically keep throwing words on the page until I get something that works. My current manuscript is a mess of strikeout and bolded text, but it’s all part of the process. Oh, boy, I am totally in the “time is there, I just don’t use it wisely.” Why do I make bad choices? I think part of it is sleepiness. I have been making good food choices lately (and including a sweet treat as part of my plan), so hunger or nutritional fuzziness isn’t really part of the bad choices. Work has been draining lately — exciting and rewarding on the one hand (which means I’m already getting my dopamine), but a tiny bit exhausting. Lots of voice work. So, maybe I need to rethink things. Deprive myself a little bit in some ways (like no more YouTube after 8 p.m.! ), reward myself in others (writing time is fun time! And fun time with a brownie is a very fun time!) and just get to bed on time. Give myself time to sleep and meditate. Three-day weekend coming up; maybe I can make up for some lost time. Michaline – I sympathize with you on the sleepiness, and the bad choices. I have to work really hard not to get distracted by other things (I’m looking at you internet) when I’m trying to write. If a small reward works I say ‘go for it.’ Writing with a brownie sounds like a fun time indeed.